New. COVER MAY VARY Ready to dispatch from the UK. This was a most delightful "Who Done It" that I have read in a long time. The author is known to me but a very different style of writing. Do read! 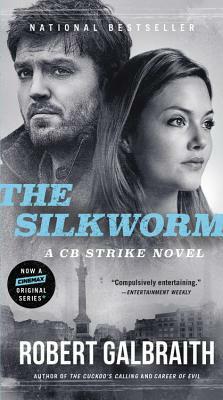 I loved the first Cormoran Strike novel by Galbraith, aka J.K.Rowling, The Cuckoo's Calling. This second book in the series let me down a little, although the characters are still enjoyable and the story fascinating. My complaints are it took a little too long to get to the actual crime and the ending is highly staged and implausible--not an unknown ending to mysteries, but still a bit of a disappointment. Nevertheless, it's good and I will be looking for the third book.